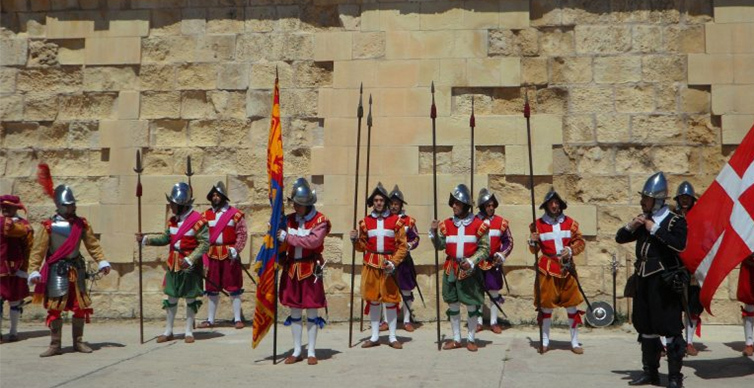 Discover the history of Malta! 60 Paul, a disputed interpretation of the Acts of the Apostles, said to have been stranded, on his journey to Rome in the St. Paul’s Bay in Malta and converted the first Maltese Christians. 870 The Muslim Aghlabids attacked Malta. According to a controversial Arab source, they killed all the inhabitants of the islands and it remained uninhabited for nearly two centuries. 1048 Re-colonization of Malta and Gozo with 5,000 Muslim and Christian Sicilians. The Arabic-speaking immigrants bring cotton plants, citrus trees and the technology of artificial irrigation. 1127 Norman Prince Roger III and the Arab governors unite the archipelago of Malta and Sicily. 1194 The Staufer inherit the Normans in Malta. Under Emperor Frederick III the Muslims of Sicily and Malta are increasingly suppressed. 1282 The now largely Christianized islands belong with Sicily to the Kingdom of Aragon-Catalonia. Sicilian feudal lords operate in Malta and Gozo large cotton plantations. 1397 Martin, King of Aragon, recognizes the Università, the self-administration of the Maltese nobility. 1428 Alfonso V places the islands directly under the Crown. 1574 Opening of the Sacra Infirmiera. With the modern hospital the Knights continue in their origin as helpers for the sick pilgrims in the Holy Land. 1641 Last Ottoman attack. With the proceeds from the piracy and the land ownership in Europe the Catholic Order pays for the elaborate baroque buildings, aqueducts and fortifications. 1798 Ferdinand of Hompesch, the only Grand Master of German origin capitulated without a fight in front of the fleet of Napoleon. 1800 Supported by an anti-French revolt of the Maltese population, British troops occupy the island. 1814 Malta becomes a British crown colony and an important naval base. 1919/1921 After riots of the poor over a bread tax London granted the country a partial autonomy. The first all-Maltese Parliament is elected. 1940 The Second World War brought the Maltese a naval blockade by the Axis powers. Heavy air attacks damaged the port of Valletta in particular, this lasted until 1943. 1964 Malta granted independence for the first time, but only within the British Commonwealth. 1974 Proclamation of the Republic. 1979 The last British troops leave Malta. 1991 Malta applies for membership of the EU but application is frozen due to a change to a Labour government. 1998 After the election victory of the nationalists Malta renews its negotiations with the EU. 2008 On January 1st the € replaces the Maltese pound (lira Maltese) as currency.